ICC Women’s World Twenty 2018 tournament will begin tomorrow and will continue till 24th. The 10-team T20 tournament will continue till 24th of this month. Australia, Bangladesh, England, India, Ireland, New Zealand, Pakistan, South Africa, Sri Lanka and the West Indies will participate in the tournament. In a message, former Pakistan captain Urooj Mumtaz said that women’s cricket has grown leaps and bounds. She suggested that women cricketers previously used to hold themselves back but have now realsed that they can replicate most things of the men’s game, including the dilscoop, reverse sweep, coming down the track to hit the ball over cover, or any other innovative shot. Urooj said that it is imperative that Pakistan do well in the World T20. She said Pakistani team is a better unit for T20s and once they shine in the tournament, the sponsors will come in and domestic circuit will become more professional. 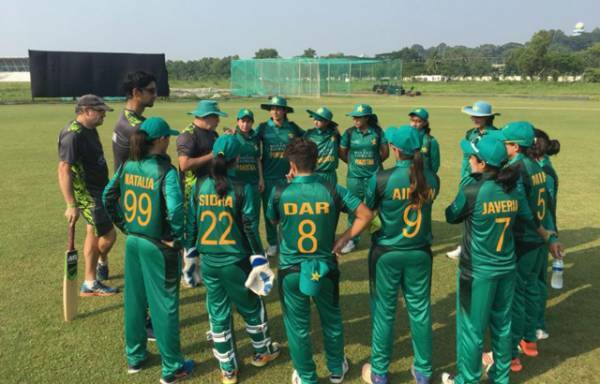 Urooj, who is a member of the Pakistan Cricket Board’s cricket committee, feels “increasing the player base” is the only way to take women’s cricket to the next level in Pakistan.